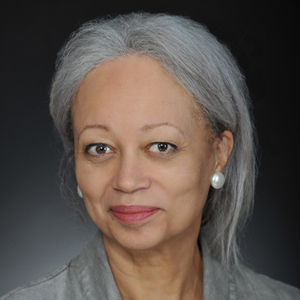 Patricia J. Williams is a graduate of Wellesley College and Harvard Law School. She began her career practicing law as a consumer advocate for the Western Center on Law and Poverty, and as a Deputy City Attorney for the City of Los Angeles. Upon leaving practice, she served on the faculties of the University of Wisconsin School of Law, Harvard University Women’s Studies Program, and CUNY Law School at Queen’s College. Since 1992, she has been the James L. Dohr Professor of Law at Columbia University School of Law. She is the recipient of honorary doctorates from Northeastern University School of Law, John Jay College of the City University of New York, the College of Wooster, Smith College, and Old Dominion University. She has received numerous awards, including from from her alma maters—an Outstanding Alumna Award from Latin School in Boston, an Alumnae Achievement Award from Wellesley College, and a Graduate Society Medal from Harvard. Her book The Alchemy of Race and Rights was named one of the twenty-five best books of 1991 by the Voice Literary Supplement; one of the “feminist classics of the last twenty years” that “literally changed women’s lives” by Ms. magazine; and one of the ten best non-fiction books of the decade by Amazon.com. Other books include The Rooster’s Egg (Harvard Press, 1995), Seeing a Color-Blind Future: The Paradox of Race (Farrar, Strauss & Giroux, 1998), and Open House: On Family, Food, Piano Lessons, and The Search for a Room of My Own (Farrar, Strauss & Giroux, 2004). Professor Williams has appeared on radio and television shows around the world, and in 1997 delivered the annual Reith Lectures for the BBC, Radio Four. She has appeared in a number of documentary films, including “That Rush!” which she wrote and narrated. Directed by British film-maker Isaac Julien, this short study of American talk show hosts was featured as part of an installation at the Institute of Contemporary Art in London. She has held fellowships at the School of Criticism and Theory at Dartmouth, the Humanities Research Institute of the University of California at Irvine, the Institute for Arts and Civic Dialogue at Harvard, and the Center for Advanced Study in the Behavioral Sciences at Stanford University. In 2000, she was named a MacArthur fellow. It may be my imagination, but this year Black History Month has seemed to present a more complicated range of memorials than in the recent past. "Why do you care so much?" said a white friend to me during a debate about suspect profiling. "Don't take it so personally--the police aren't after you in the black middle class. The networks are busy interviewing everyone with a law degree about what to expect from the impeachment trial of President Clinton.